Step1. Launch the app and click Settings. Step2. 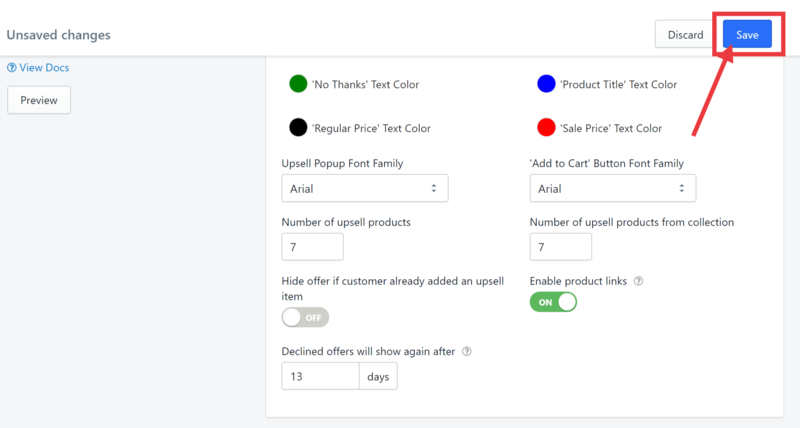 Scroll down to the Upsell Popup Settings section. Step3. 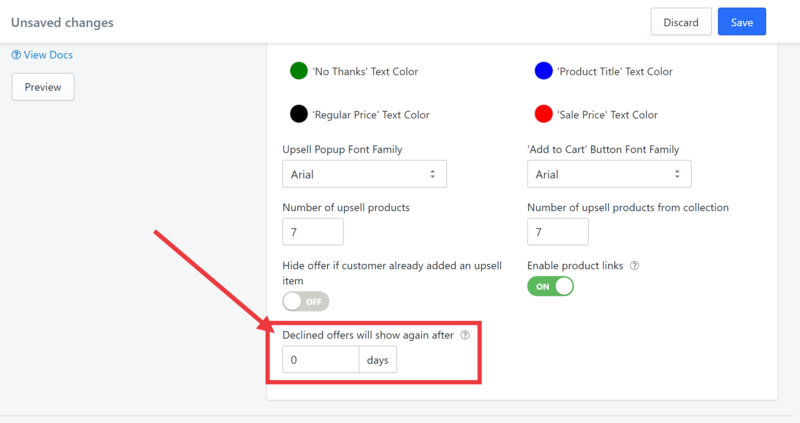 Adjust the number of days for the upsell to reappear, according to your preference. In this example, let us set it to 13 days. But wait.. what if I don't want to hide the declined offer at all? If you'd like the declined offer to show - please set the days to 0 and then Save. 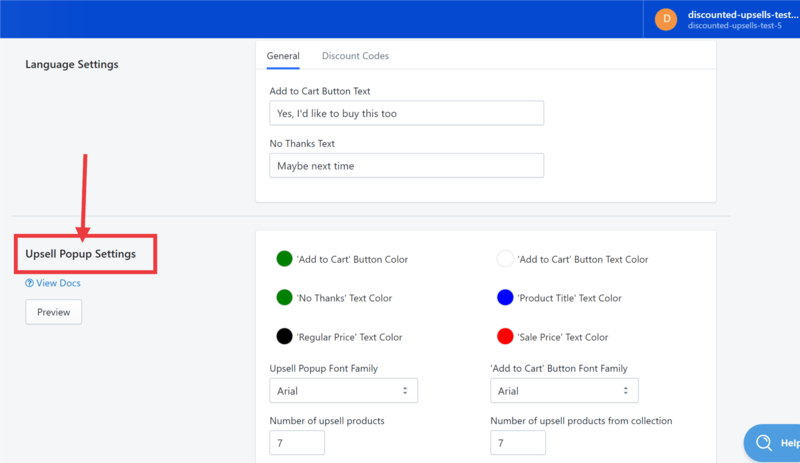 Please note that this setting allows the popup to appear after every refresh though so it may not be a good experience for your customers; therefore, this is not advisable. If you still need further assistance, don't hesitate to click Contact Us below.